It’s hard to believe but 2016 is racing to a close and 2017 is right around the corner. The holiday season between Thanksgiving and New Year’s really leads to a lot of reflection and planning for many. The solar industry is no exception. 2016 started out with a bang with the Oregon legislature approving an expanded Renewable Energy Standard for Portland General Electric and Pacific Power. It also created the policy framework for community solar and passed an incentive for large-scale solar projects ranging from 2MW to 10MW. Much of the remainder of the year has been taken up by the mechanics of moving policy to real-life implementation. Much of that work will continue into 2017. 2017 also brings a “long” session of the Oregon legislature. Officially opening the second Monday in January and starting off in earnest on February 1, the solar industry has some must-do business items. We must make sure that the Residential Energy Tax Credit is extended past the current December 2017 sunset. We must also make sure that the current property tax exemption for onsite renewables is also extended. If you want to see the entire solar policy agenda for 2017, go (here). And put April 18, 2017 on your calendar because that will be Solar Lobby Day in Salem (register here)! At the beginning of 2017, we are also preparing to release the Oregon Solar Business Plan – a 10-year look at how much solar we could deploy on rooftops and in larger projects. The solar industry needs to be able to tell its own story and outline its own ambitious but realistic vision of what role solar can play in meeting Oregon’s energy needs. The Oregon Solar Business Plan will provide the platform for communicating that vision and will drive our policy work, planning efforts and development initiatives over the next several years. 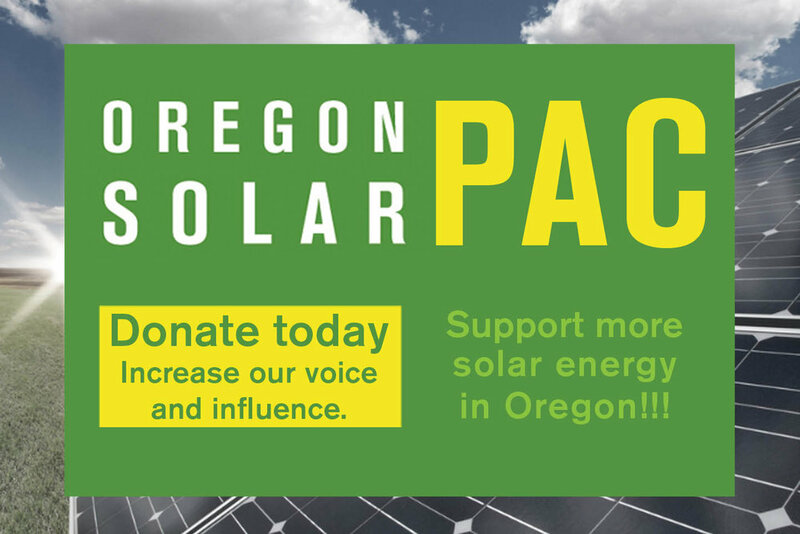 You can read more about the Oregon Solar Business Plan (here). On a personal note, the close of 2016 will mark my almost-one-year anniversary with OSEIA and the solar industry (the actual one-year point will be on February 1, 2017). In a word, my first year has been fun – getting to know the solar businesses and other stakeholders throughout Oregon and being part of the conversation around how solar can take a strong and responsible role in powering the state. Early in my tenure, one business member noted that “energy is the ability to do work.” Because we in the solar industry are trying to change the way society gets its energy, we are literally working to change the way society works. That’s a big order to fill but my first year leaves me with no doubt that the solar industry is up to the job.